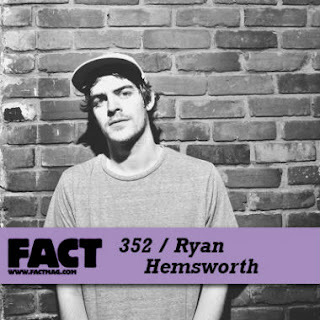 I'm a big fan of Canadian producer Ryan Hemsworth, not only for his remixes and edits, but his original material too. The kid gets music and understands what makes something so good to listen to. He was recently the latest producer to contribute a mix to FACT Magazine's mix series, giving us just over an hour of music. The playlist features tunes from Waka Flocka, Danny Brown, Frank Ocean, Meek Mill, and more. Also, you'll get instrumentals, acapellas, and crazy edits--plus it is free to download.